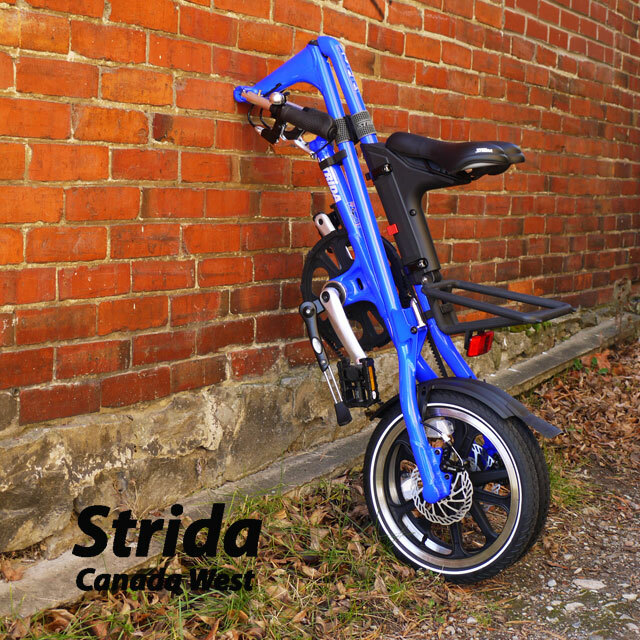 The Strida Blue Man Lt is a new exciting colour for Strida in 2016. 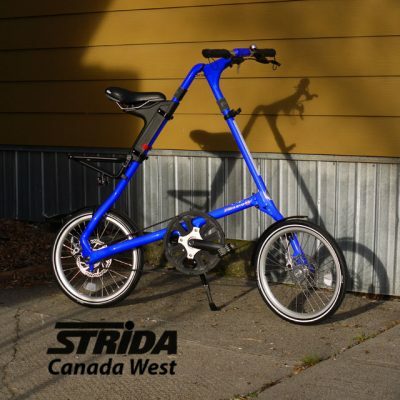 My prediction is that these won’t last long, a strong bright colour like this Blue Man is a perfect way to enjoy your Strida ride. The Strida Blue Man Lt model includes a Strida kickstand, Strida Quick release seat mount and a frame clip. 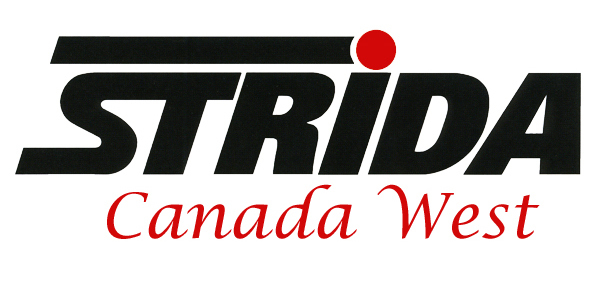 This is one of the first of our Lt models to include all of these upgrades. 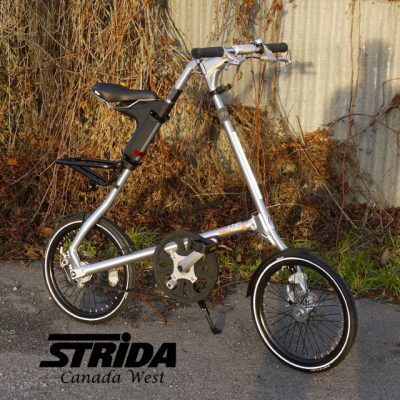 As a Strida distributor I custom order my Strida models. 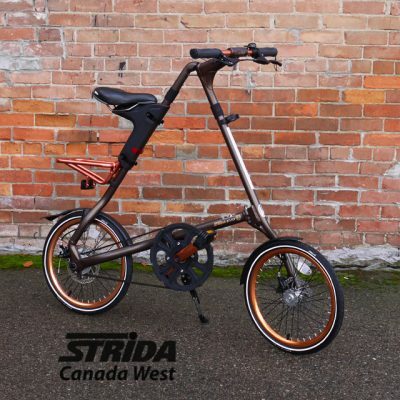 All of my Strida bikes are ordered with a Strida kickstand as a standard accessory. 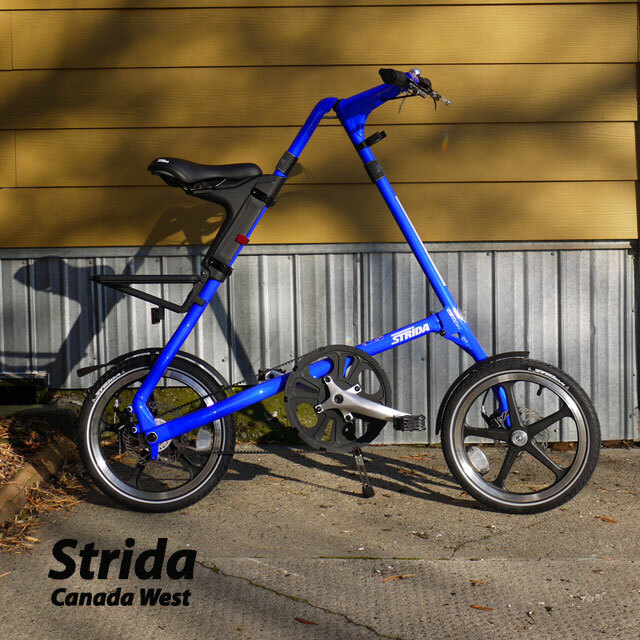 The SX and the EVO models are also equipped with the Strida Q/R seat mount, this is now one of two Lt models that have the Q/R seat mount as the standard seat mount. 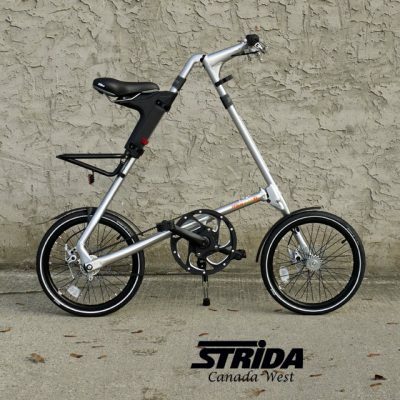 The Strida White Lt is the other. 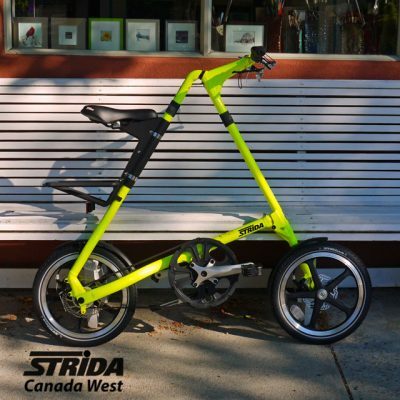 Both the standard Strida seat mount and the Q/R seat mount are adjustable. 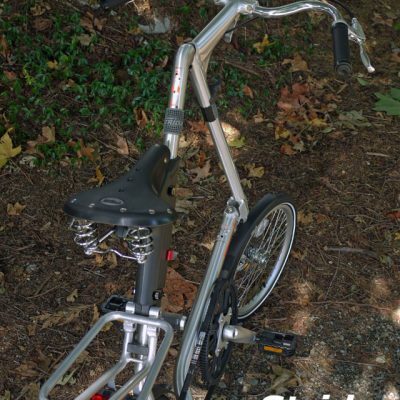 The difference is that the Q/R seat mount is adjustable without needing to remove the saddle and disassembling the seat mount. 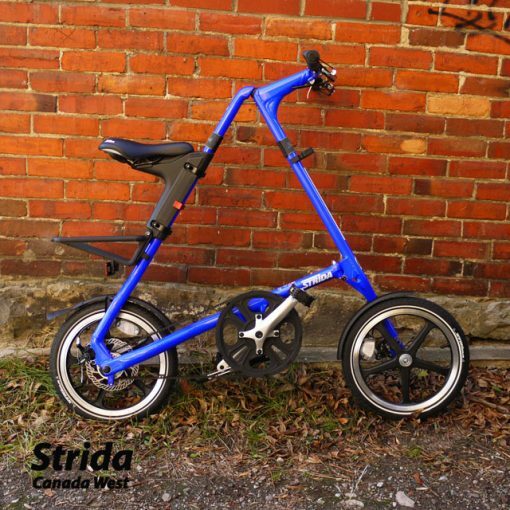 If you are sharing your Strida bike with someone else or you would like to adjust the seat height quickly for someone to try your Strida bike then the Q/R seat mount is nice to have.